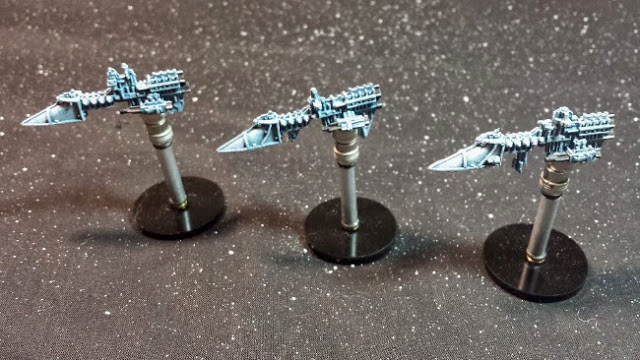 For Christmas my Sister and brother-in-law (Elijah) got me three sword class frigates from Games Workshop. Now of course with Battlefleet Gothic discontinued, they had to get them off of Ebay... and that cost a pretty penny given what they are. These Frigates are the real deal. 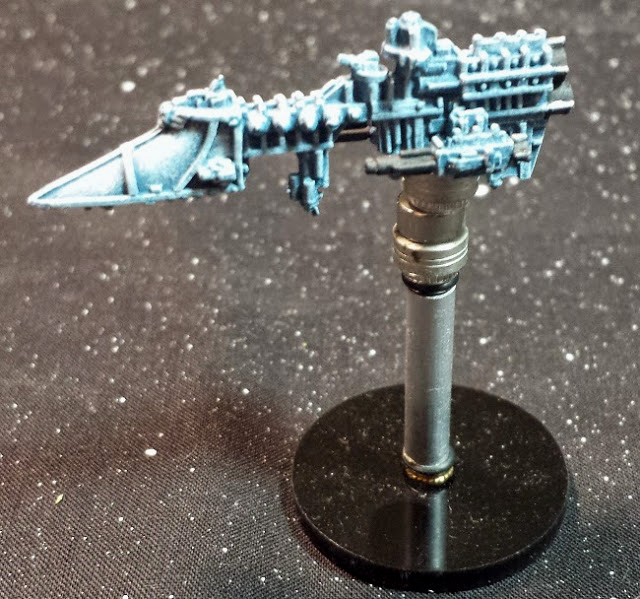 Made of solid pewter, and with slight variations in each model that is indicative of Battlefleet Gothic. 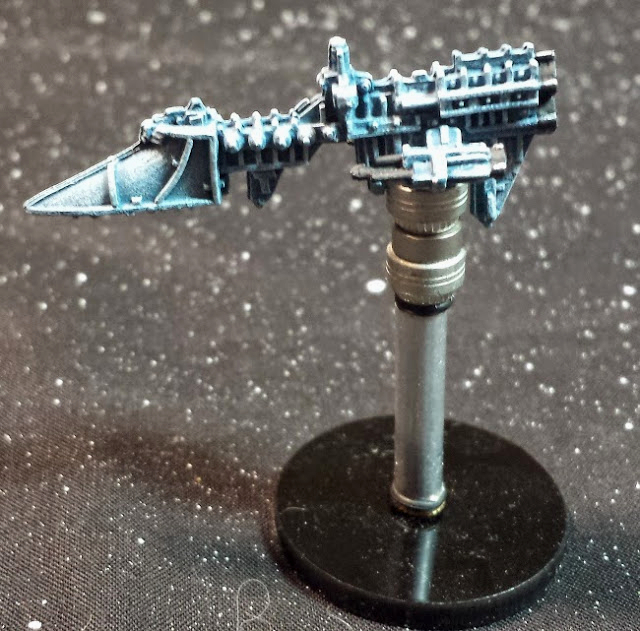 Since I regularly play Battlefleet Gothic with my sister, and her Warhammer 40k army is Space Wolves, I decided that I would paint them up as Space Marine Sword Class Frigates, to match the strike cruisers. 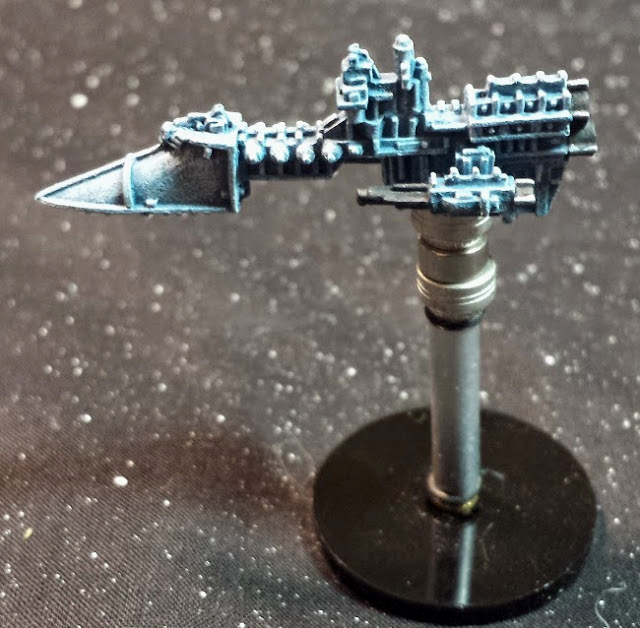 Space Marine Frigates are slightly more expensive than your standard Imperial Frigates, as they each have Space Marine crews, making them that much more effective in boarding actions. And since my Main Opponent plays Space Wolves, that happens a lot.